Our apparel items include our printed t-shirts at this time. In the future, we hope to have caps with our name printed as well. These shirts are made from high-quality material. The printing is of the best quality available on the market and we are happy to offer them to our loyal customers. 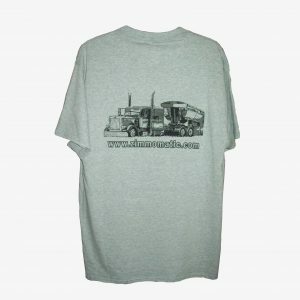 Show your support of your favorite repair shop by buying one of these cool shirts when you visit our website. Tell your friends where to go for the best repair and fabrication work they can find anywhere. Zimm-o-matic is the name to know for all your repair needs.